If you liked this show, you should follow Game Academy Radio. Chances are, you have played a game by Rob Jagnow. Most notably, Rob and his team at Lazy 8 Studios released a little Steampunk puzzle game called Cogs that made waves on mobile devices and Steam a few years ago. Addictive yet beautiful, it's one of those games that stay with you as the years pass by. Jagnow and Lazy 8 Studio's next project, Extrasolar, has been in production for a few years, and after playing the beta, it certainly shows: these guys are on their way to making a truly unique that tells a story in one of the most unique ways you will ever witness. During the course of the interview, Jagnow and I discuss his beginnings, his thoughts, ideas, and plans for Extrasolar, and the endless possibilities of a fairly unknown genre known as ARGs (Alternate Reality Games). It's a fascinating interview you won't want to miss, and it's only on Game Academy Radio! 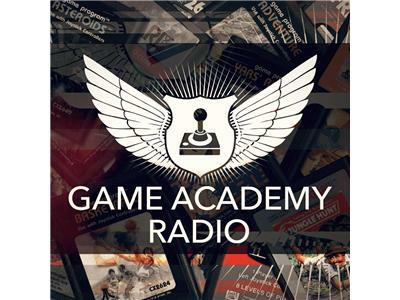 Game Academy Radio is the official weekly radio show from GameAcademy.com. Each week we feature insider game business tips spanning mobile, console and pc platforms while discuss the latest trends and gossip from the industry. Also look out for exclusive live interviews with industry leaders that you won't find anywhere else!